Brass and bronze are used in a range of applications, such as component parts for factories, end products for commercial retailers, and creating jewelry for the public. Brass alloys consist of the base metal of copper with varying amounts of zinc added, while bronze contains copper with aluminum, tin, magnesium and other materials. Yet how do you decide on the right one for the application? Resistance capabilities: Certain alloys will have corrosion resistance when used near or in water or the atmosphere, such as tin brass. Other alloys can provide greater wear resistance and corrosion resistance, such as aluminum bronze and silicon bronze. Strength: Many manufacturers take strength as a major factor when using a variety of metals. Brass and bronze are sought after due to the increase in tensile strength that these alloys can have when they are cold worked or, in the case of brass, when more zinc is added. Brass has a tensile strength of 53 Ksi (365 Mpa) when annealed and 88 Ksi (607 Mpa) when cold-rolled tempered. Phosphor bronze has a tensile strength of 50 Ksi (345 Mpa) when annealed and 92 Ksi (635 Mpa) when cold-rolled tempered. Thermal heat and electrical conductivity: When creating certain products, such as appliances, the alloy used in the appliance may need to have a conducive nature to allow electrical current or thermal heat to pass through without breaking down. Brass and bronze are assigned an International Annealed Copper Standard (IACS) value based on their conductivity. The higher the IACS value, the more electrical and thermal heat conducive the alloy is. For certain brasses, phosphor bronzes and tin brass, there may be a IACS value ranging from 25% to 50%. Formability and Fabrication: The amount of zinc added to brass can impact its formability and working capabilities. For instance, when brass has around 32% up to 39% of zinc, it will have exceptional hot working capabilities but will be more difficult to cold work. If it has over 39% zinc, it will become more ductile at room temperature. Appearance: While manufacturers who need internal components in larger machines won’t really be worried about the aesthetic appearance of the alloy, the beauty of the metal can play a factor in other industries such as sculpting and jewelry making. Brass can range in color from red to yellow, as well obtain a colored patina when heat or chemicals are applied. Bronze can come in golds to browns as well as white bronze. 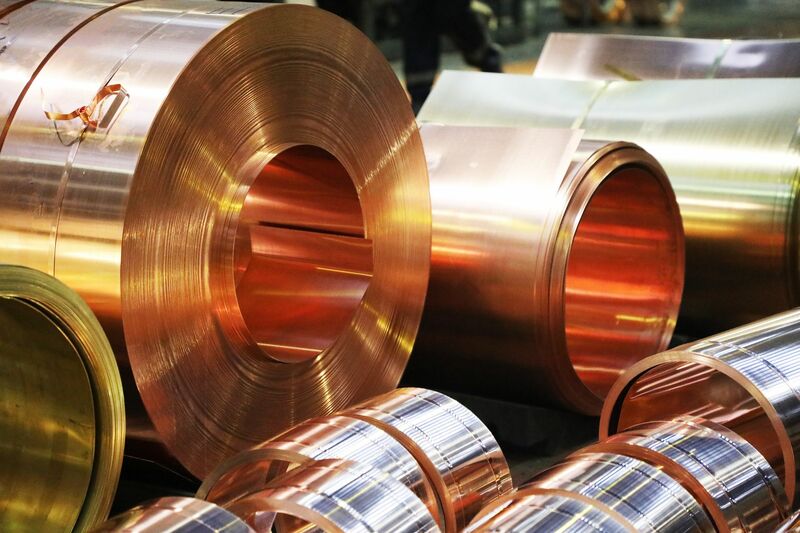 Here at Belmont Metals in Brooklyn, New York, we are constantly contacted by companies that are looking for the right brass and bronze alloys for the application. Our metallurgists work closely with the manufacturer and their application specifications to help them select an alloy, or to customize an alloy, that fits their needs.